A breath-taking counter, which resulted in a goal with literally the last kick of the match, shattered a million Japanese (and neutral) hearts and helped Belgium survive a scare in the round-of-16 tie of the FIFA World Cup 2018 against Japan. 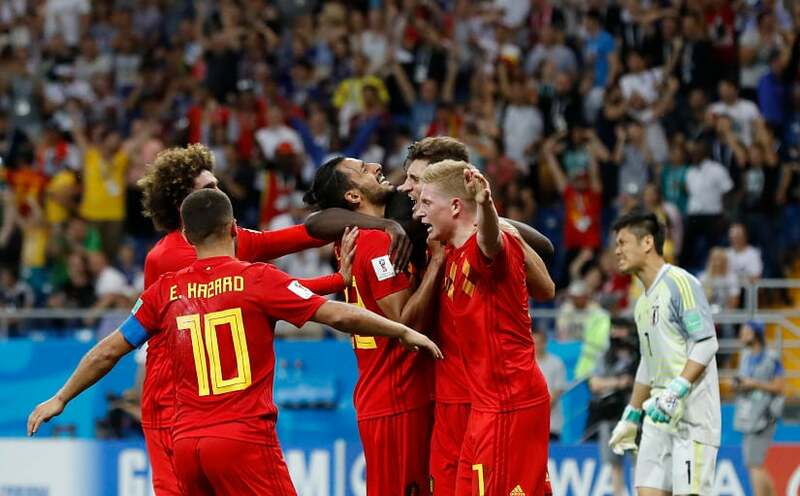 Surprisingly, the sources of inspiration for the Red Devils were Marouane Fellaini and Nacer Chaldi, both bit-part players for their clubs and both substitutes in the match, in a World Cup that continued to showcase its giant-killing inclinations. As entertaining as the match was, the fact still remains that Belgium struggled against a lower-ranked team, and coach Roberto Martinez will have a lot of thinking (and tinkering) to do prior to the big quarter-final clash against Brazil. Here are three talking points from the Belgium-Japan encounter. Will the real central midfield please stand up? Barring an under-strength England side, who also looked disinterested in winning, no team had really tested the Belgium defence in the tournament so far. Japan too looked contempt for a draw as they sat back and defended in the first half, but the Samurais came all gung-ho in the second half and cut open the Belgium midfield like a piece of cake. Shinji Kagawa rolled back the years with a perfect creative midfield display, while Takashi Inui impressed with his pace and aggression on the left. The fact that two players, considered to be beyond their prime, could run riots against Belgium's Golden Generation is perhaps a warning sign for what might happen against Brazil, a side brimming with youthful effervescence. But for most parts, this was Belgium's own doing. 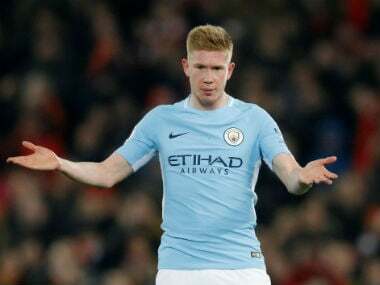 Roberto Martinez's brave 3-4-3 formation, with Alex Witsel and Kevin De Bruyne in central midfield, was always going to be tested by a side with a little bit of creativity in their arsenal. The midfield was non-existent, certainly missing dynamic box-to-box players like Radja Nainggolan, leaving gaping holes for opposition midfielders to pick their passes, and Belgium will need to tighten up their midfield if they are serious about making it to the final four of the World Cup. Imagine Casemiro, Paulinho and Philippe Coutinho vs De Bruyne and Witsel. For a player who's faced criticism from all possible quarters, Fellaini does deserve some credit for having the nerves to show up, do the dirty work that is always assigned to him, and make a difference. The big Manchester United midfielder was definitely a game-changer against Japan, adding more steel into the midfield, relieving KDB of his defensive duties and dominating in the air (even scoring the equaliser). Which begs the question — why isn't he starting in the first place? Martinez's selections suggest a tactical rigidness. He believes in the three-man defence, a formation he is clearly comfortable having used it during his stints at Wigan and Everton as well, but it still remains a doubtful proposition for a Belgium side devoid of a classic wing-back. Thomas Meunier isn't the best attacker, Yannick Carrasco and Nacer Chaldi aren't the best defenders. Similarly, there seems to be an air of arrogance, that being the Golden Generation should be itself grant the Red Devils a slot in the finals. It was all but evident that the Japanese side was weak in the air but Martinez only made the necessary changes once Belgium were two down and with their backs against the wall. Brazil plays a clear 4-3-3, with attacking full-backs, which could stretch Martinez's 3-4-3. 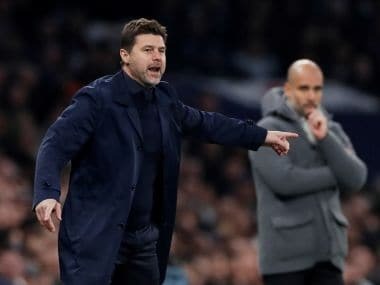 A move to a more resilient 3-5-2, with Fellaini or Mousa Dembele in central midfield that would allow Belgians to hit Brazil on the counter might be the way forward. Japan might have lost but the way they took the fight to Belgium would have won them a lot of fans. The team wasn't expected to perform well in Russia after sacking coach Vahid Halilhodžić two months ahead of the World Cup. But instead, the Blue Samurais were lethal, didn't get bullied by their superior opponents and showed the future is bright for the footballers from the Land of the Rising Sun. Japan, you were brilliant tonight. You filled every Asian with hope and left us with something to be proud about. The match, just like South Korea's victory over Germany or Iran's hard-fought draw against Portugal, was a testimony to Asia's improving football standards. While all Asian teams have been knocked out, this World Cup has shown that lesser-ranked teams can beat the big guns through team-work and strategy. The likes of Genki Haraguchi (Japan), Cho Hyun-woo (South Korea), Alireza Beiranvand (Iran), Sardar Azmoun (Iran) assuming he revokes his retirement plans, have all got at least one more shot at the World Cup. and one can only expect them to get better.